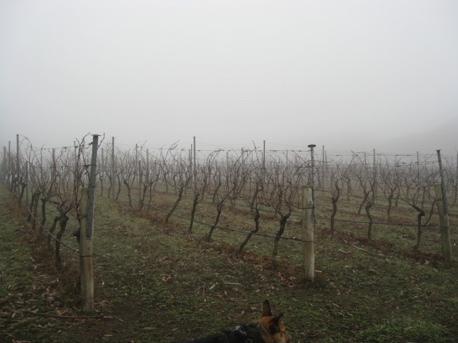 The micro climate of the vineyard is very protected with the Mt.William area virtually frost free due to its topography. The terroir is a mix of red cambrian volcanic soil and grey loamy granitic soils. The vineyard is essentially non-irrigated as the root structures are now very substantial. The reason for this is to limit the yield of the vines and the size of the berries so as to maximize the intensity and complexity of our grapes. Low yields are essential for the production of premium wines. A maximum yield of two tonnes per acre in our Chardonnay and one to one & a half in our Pinot Noir goes toward achieving this. Nicki Ralph, co-owner of Lanes End is the Vineyard Manager. 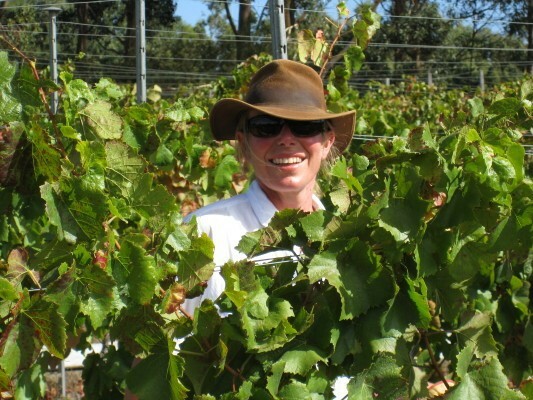 With a degree in Agricultural science and post graduate studies in horticulture, Nicki has brought a number of changes to the vineyard including the non use of herbicides and insecticides and a more organic approach to the running of the vineyard. An increase in complexity of our wines is testament to her disciplines and hard work. Traditional Burgundian winemaking techniques are employed in making both our Chardonnay and Pinot Noir. Once the chardonnay is picked the grapes are whole bunch pressed and allowed to partially settle overnight. The juice is then introduced straight into our French oak barrells where natural yeast found on the grapes will initiate primary fermentation. 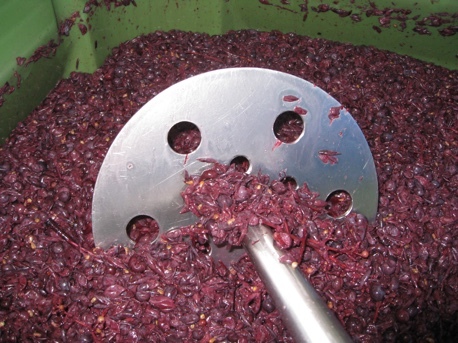 The temperature is kept to a maximum of 18 degress celsius over fermentation to allow a slow ferment over 5-8 weeks. Once this is finished the gross lees are stirred every two weeks to add some extra strucure to the wine. A decision is made around October as to how much secondary fermentation (MLF - Malolactic fermentation) will be allowed in the barrels. Pinot Noir is picked and then a decision is made as to how much whole bunches will be used ( usualy between 15-35%) during fermentation. The rest of the bunches are destemmed. Again only natural yeasts(wild/indigenous) are utilised through fermentation. The must is kept in open fermenters and are cold soaked for around 4-5 days before fermentation slowly starts. The must is plunged twice a day until the temperature rises to around the high 20's-low30's where it is plunged three times daily. Minimal intervention !! Once fermentation finishes, the now new wine is left for another 4-7 days to allow more extraction and carbonic maceration in the whole bunches to evolve. The wine is then basket pressed into the barrells, typically around 40% new. Our Pinot goes through 100% MLF, some of it happens due to coinocculation of Malo bacteria at primary ferment and the rest finishes off once the ambient temperature gets to around 18 degrees in November/December.The wine is then finished off and bottled around March. As of the 2016 vintage, this process will be extended to 18 months in barrel. Our philosophy is very simple-to produce the best possible fruit from our vineyard and with minimalist intervention turn these into the highest quality wine possible. Besides the variety planted, climate would be the next factor that most affects the quality and style of the wine grapes. The Macedon Ranges Wine region is the coolest mainland region in Australia . Warmer wine regions produce bigger wines in alcohol and fruit forward flavours. However the wines produced in these regions tend to be quite uni-dimensional and very "in your face". Cooler climate wines are of a more elegant nature, balanced with a higher amount of natural acidity and finer tannins. These characteristics are paramount with the varieties of Pinot Noir and Chardonnay. The rainfall patterns of this area are also important with usually good spring rains but dry Autumn conditions which allow a long slow ripening with very low disease probability. Temperature summation is another way of comparing wine regions. Basically it is a means measured temperature during the growing season. The Macedon Ranges temp. summation is around 1050-1100 which is very close to the Champagne and Burgundy areas in France, hence our preferential status as a sparkling wine and Chardonnay/Pinot Noir producers.